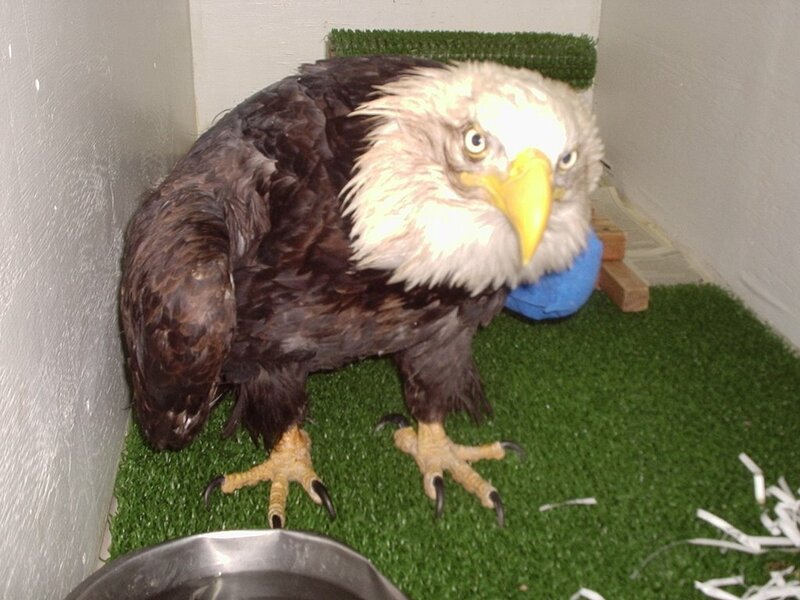 BE 06-42 came to us from USF&W in the Kenai National Wildlife Refuge. He was caught in a snare trap that wrapped around his left wing and his body. There seems to be no broken bones but he's bruised up pretty good. Cindy had trouble trying to get it to take an iv, so we had to tube feed it to get some fluids in it. This guy needs a little more help then what we can give him. Talk to whoever you talk to when the lights go out and have them send him a little extra help.